Need a Place to Stay? 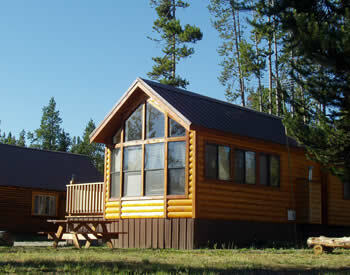 Rent One of Our Cabins! The cabins at Madison Arm Resort are modern and private. The log Cabins have a living room with a large picture window leading to private deck, a fully equipped kitchen, a dinette area, and a private bath. 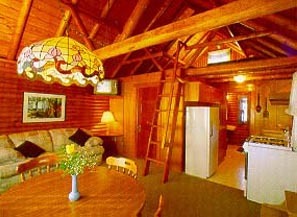 In the log cabins, there is a master bedroom which consists of a double bed, and a loft that has two double beds. Kitchens come equipped with refrigerator, electric stove, microwave, coffee percolator, toaster, dishes, cutlery, pots & pans and dish towels. The setting is quiet and peaceful. All three have a good view of the lake. Linen and towels are provided. There is no daily maid service.